Can Google Adwords help your Small Business attract more customers? Search Engine Marketing (SEM) has fast become a great way for small business to attract new customers. Whether you advertise using Google Adwords for your small business or not, there is no doubt that you have probably seen these types of advertisements online. Google Adwords (an example of SEM) is a paid advertising service run by Google. As an advertiser, you can set up campaigns based on keywords. Keywords are search terms or words that your customers would normally use to search for your products or services online. Small Business marketing with Adwords. Google Adwords can be an effective tool to use as part of your Small Business Marketing mix, if its used in the right way. Easily Measured – Adwords allows you to measure how your campaigns are performing. You can calculate your return on investment. Highly targeted – You can set geographic locations for your Ad to be shown. You can also schedule the times of the day that you want your Ads to appear. Can give you a faster result than SEO – As soon as you set up your Adwords campaign and it is approved by Google your ads begin to show online. This helps to drive traffic to your website or e-commerce site right away. SEO on the other hand is a longer term strategy, so it may take longer for you to see the results and returns. Adwords helps your business get found. Adwords can help to get your Ads to the top of the page so your business can be found more easily. Furthermore, it can help to increase your brand awareness as the Ads are shown to people who may not have been aware of your business before they saw the Google Ad impression. People searching the Internet often gladly click on Adwords Ads. These Ads often specifically address a need that the web users had in the first place. Control over daily spend – This gives you better control over your budget because you can set a maximum spend. You only pay when an Ad is actually clicked on. Real time monitoring – You can track how well your Ads are performing and you can make the relevant adjustments. For instance, Adwords allows you to pause or remove underperforming Ads, get insights into the types of search terms people are using to trigger your Ads, and so forth. Drives traffic to your website or e-commerce store – This can help to boost in-store traffic and sales as well as increase the number of website inquiries and sales leads that a business gets. If you are already using Adwords but not getting the results you expected, here are some tips. Make sure your landing pages include relevant content. For example, if your advertisement is for ‘ladies designer handbags’ and the visitor lands on a page that is too generic or not relevant enough to the search e.g. Ladies handbags but not designer handbags then the advertisement may not have delivered what it promised. Make sure customers get what they expect to see. There are specific keywords that are used to trigger an Ad. There are also negative key words that are used to stop and advertisements from showing. For example, if you provide training courses as a paid service, you might want to exclude people from seeing your Ads that type in the search term “free training course”, as they are less likely to convert to a paying customer. Negative keywords can be added to the campaign. They are used to stop irrelevant searches from triggering your Ads. For example, you may run an Accounting Practice and you may not want your Ads to show when people type in search terms like “Accounting Courses” or “Free Accounting Software” because neither of these terms apply to the services you provide. Adding negative keywords to the campaign should help improve your Click Through Rate (CTR). The CTR is a percentage ratio which measures the number of clicks divided by Ad impressions. This ratio gives you a score that helps you track performance. Negative keywords help reduce the number of irrelevant searches that trigger your Ads. Don’t simply take the approach that you want to attract the widest pool of searches to your website and use the ‘broad match type’ in Google Adwords, as this can affect your CTR. It can also affect your quality score which is the score that Google Adwords assigns to your advertising based on several factors. Factors include the relevance of your Ads, the CTR and the relevance of the website page that they land on. Therefore, it is important to first understand the difference between all of the match types and how to set up your campaigns before diving in. There is a learning curve when it comes to Adwords and there needs to be an investment of time and energy to set up and manage the Ad campaigns effectively. There also needs to be an investment of time and effort to make sure that you understand the principals of Google Adwords. This will help you avoid being penalised with low quality scores, which means you end up paying more for your advertising. If your quality score is low you pay more per click. 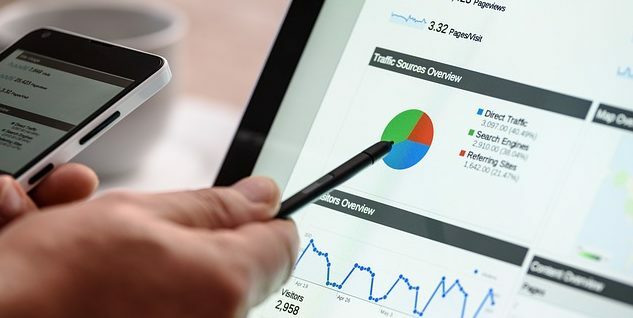 If the time commitment needed, or the skills required appear too difficult or time consuming, there are other options that can allow you to quickly get your business advertising on Google Adwords. You could consider engaging small business marketing services of a provider that can help you with Search Engine Marketing. There are also online forums, courses and several Adwords articles that can assist you to gain knowledge and skills in this area. Best of luck and here’s to less stressful and more profitable business!